Here is a sunset sketch painted from a picture I took from the train. Most of the picture was gray except for a little sliver of red around the horizon. Here is another sketch quite a bit early in the sunset, where there is that warm glow at the edges of the clouds, but the colors are still muted and cool for the most part. 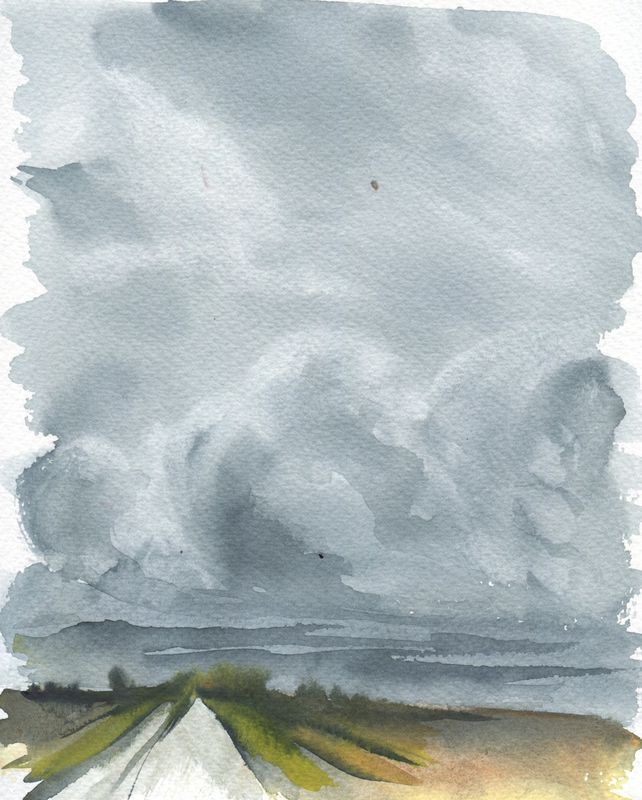 And with this one, I chose a reference picture of some stormy clouds and enjoyed painting the gray sky in payne's gray.